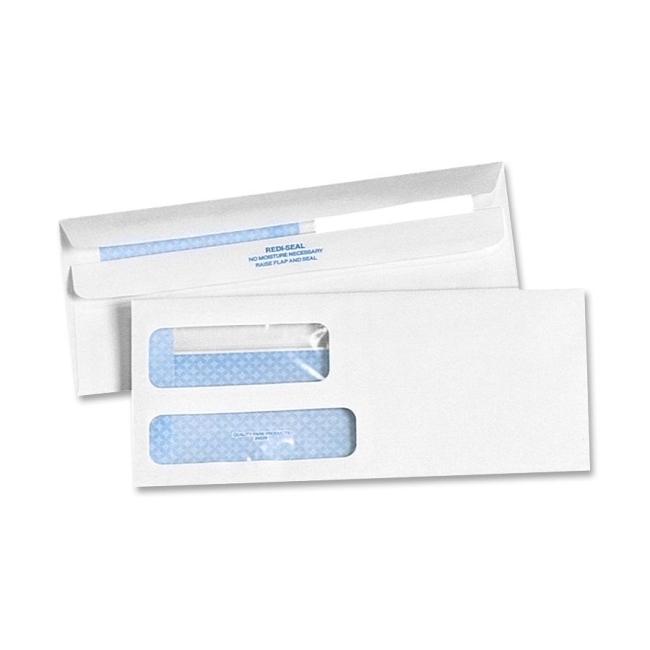 Double-window envelopes make mailing easy and efficient with Redi-Seal Closure. 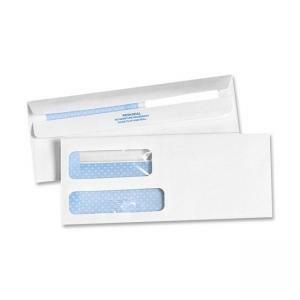 Envelopes do not require moisture to seal. Unique double flap design keeps the gum from sticking before use. Simply raise the lower flap and press to seal. White wove envelopes have poly windows and inside tint for security. 24 lb.